This infographic produced by the MMA, imagine Mobile and GMI provides statistic on how consumer are using a mobile device to start their purchase. The Creativity & Rich Media infographic gives statistics on how creativity and media are used to drive advertising clicks. It was produced by the MMA, imagine Mobile and GMI. This infographic produced by the MMA, imagine Mobile and GMI provides statistic on how consumer access retail information via their mobile phone on the street. This infographic produced by the MMA, imagine Mobile and GMI provides statistic on how consumer are using their phone to access sport content via their mobile device. This infographic produced by the MMA, imagine Mobile and GMI gives statistics on how consumers are using their mobile when purchasing a auto-mobile and responding to ads. Mobile Banking is continuing to becoming a larger focus of a banks overall strategy, the MMA Finance and Mobile infogaphic provides statistics on the growing mbanking focus and consumer usage. 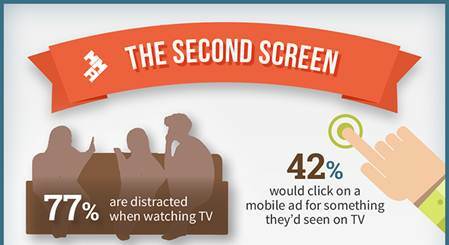 The Seconds Screen infographic provides statistic on how consumer are using their phone as a second screen while watching TV and the most likely places consumers use their mobile device. A mobile device is nearly always within arms reach and represents an advertising opportunity like no other. 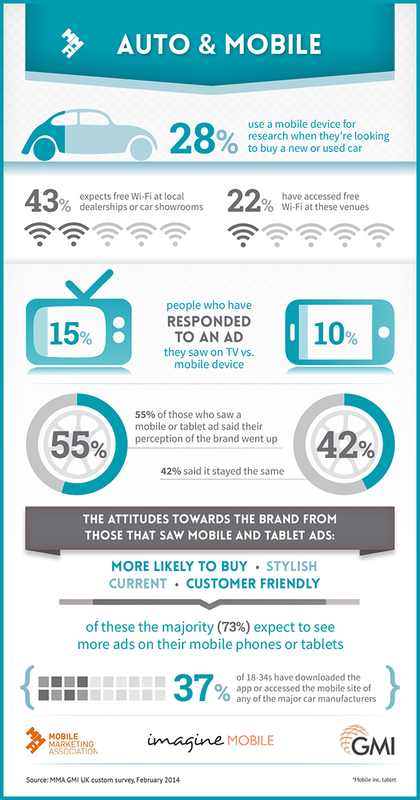 The Rich Media infographic gives statistics on how creativity and media are used to drive advertising clicks. The Mobile Retail Opportunity: Are You Ready? Mobile is just a research tool and nobody buys anything with it, or it do they? This infographic provides some vital statistics on the mobile gaming sector. Emphasising on how mobile gaming is similar to social media in terms of demographics. This infographic reports on a number of statistics around how mobile and shopping, in addition, this infographic reports on advertising influence in relation to beauty products and what drives product trails. The Mobile Marketing Association provides statistics on this infographic that reports how mobile phones are used to plan a holiday. This infographic brought to you by The Mobile Marketing Association provides key statistics on mobile commerce in a number of areas including ticketing, couponing and consumer feedback. The Movies on the Go infographic reports on how consumers are using their mobile devices in relation to the film industry. The Mobile Sports infographic provided by Fetch reports statistics on how UK smartphone uses spend time looking and research sports related topics.